2015 was a very busy and productive year. There are several projects and milestones worth highlighting. 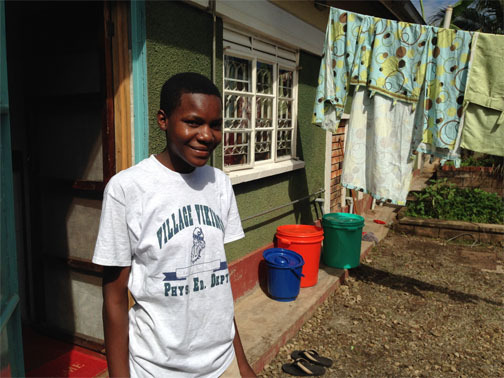 In an effort to provide a future plan for our older children that will soon be reaching 18 years old, and to also create space for new orphans, we developed the concept of Lulwanda Tendo. We have placed our 10 oldest children at the Tendo Campus which is a short walk from the Palmer’s compound within Mbale. These children are given more freedom along with more responsibilities including: yard-work, cooking, shopping, cleaning, laundry, family budgeting and many more. Our plan is to help these children get ready to transition from the Children’s Home to regular life as a productive member of society in Uganda. Some of the children have started a small cooking business while others are volunteering to help lead worship at Mbale Presbyterian Church. By developing Tendo we were also able to create room at Lulwanda Children’s Home to rescue 12 more orphaned and vulnerable young children! The Tendo campus is expandable and will also allow us to rescue more children in the future. Click here to watch a short video, as the Youth who live in Tendo give you a personal tour of the facility! We recognized that we were beginning to spend an ever-increasing amount of resources on maintenance and upkeep for our aging van at Lulwanda. Uganda’s road network is not kind to vehicles and the constant wear and tear of driving on bumpy roads had taken a toll on our van. We were graciously given funding to purchase a newer van. 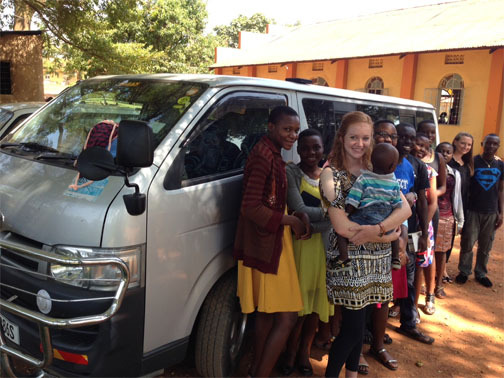 We purchased a “New to Uganda” 2006 diesel Hiace van. The new van is much more fuel-efficient and doesn’t pinch our budget due to constant repairs like the old van. 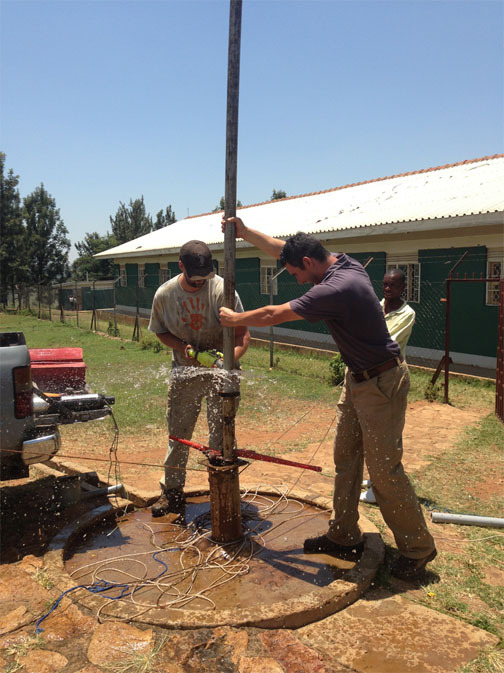 In an effort to decrease our costly reliance on the unreliable government water source, we have performed hydraulic studies on our existing hand-pump borehole. Through these studies, it has become apparent that we can modify the borehole and turn it into a solar-powered well that will enable us to reduce the costly dependence on the public water supply. 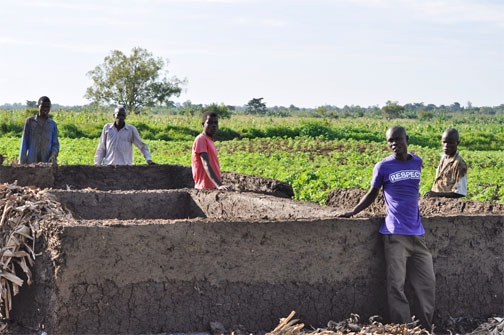 We have placed a tremendous amount of effort on upgrading our farming operation to become more food self-sufficient. 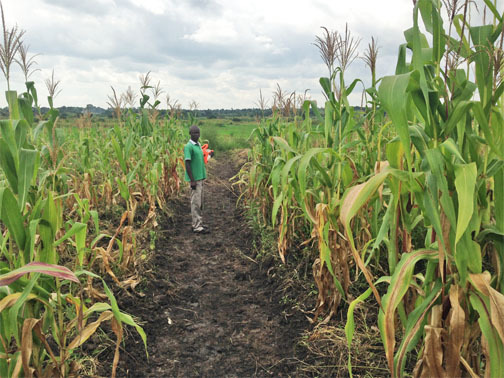 We have continued to organize our garden and have seen increased yields in maize because of our efforts. We have also planted/harvested tomatoes, greens, and soybeans at the Namaje Farm. 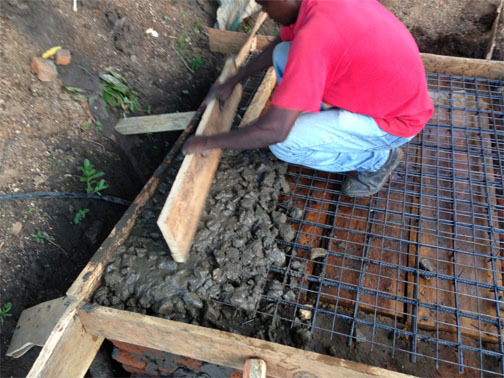 We have also undertaken several projects under the farm program. 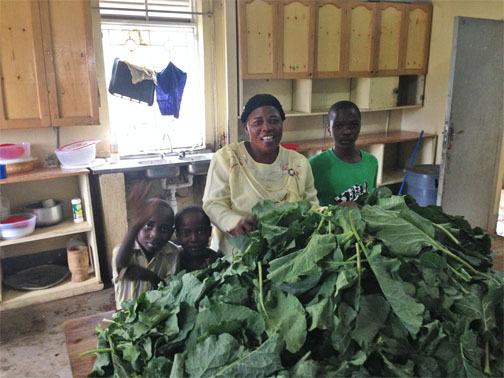 Mama Joy prepares sukuma, grown at Namaje, for dinner at LCH. 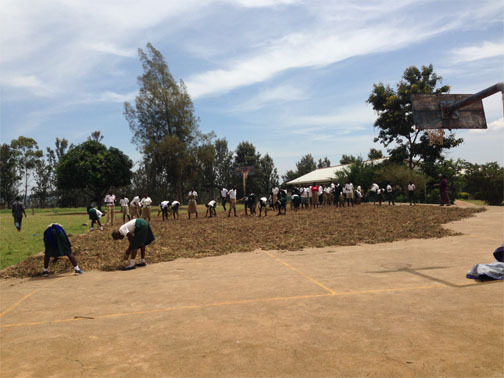 Beans grown at Namaje are spread out on the LCH basketball court to dry. In an effort to ensure that our children at Lulwanda have a balanced and varied diet, we feed them fish every Saturday. 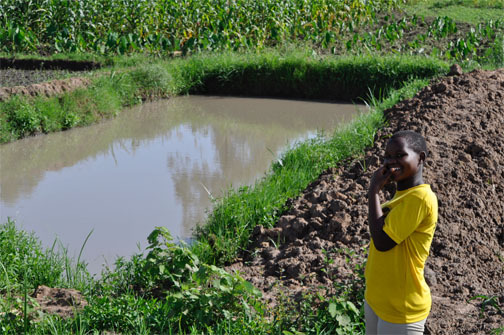 Our farmland at Namaje has many underground springs and some running water sources, and is a good place to build our very own tilapia farm. 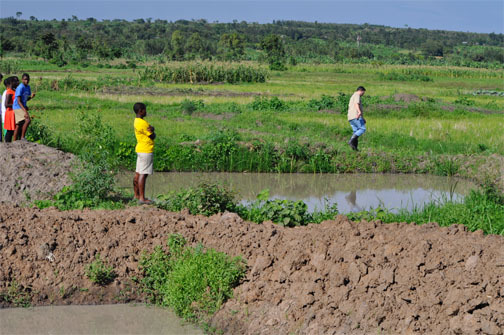 We have almost completed construction of three separate tilapia ponds. The timber farm will require us to weed the area between the trees for the first few years. 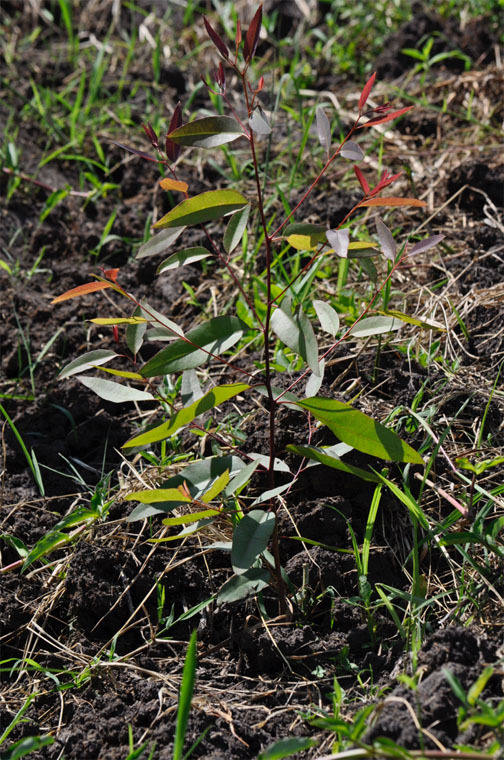 In an effort to maximize our return on this area, we also decided to intercrop yam plants between many of the rows of the eucalyptus trees. 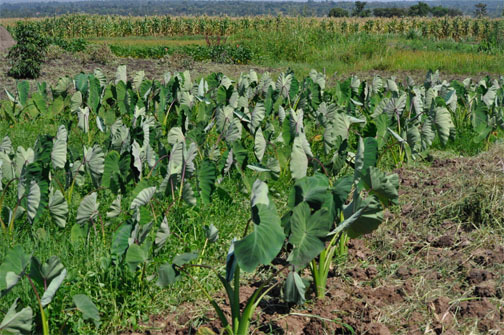 Yam plants also thrive in wet areas with bad soils. 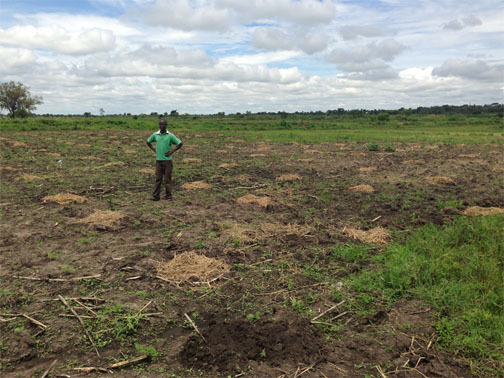 We have now planted 7,200 yam plants. 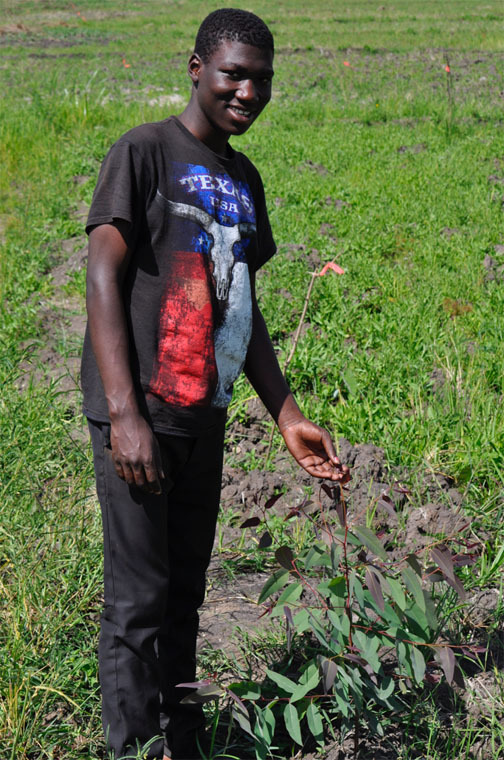 Yam plants are a large part of the diet in Uganda and will help reduce our monthly expenditures on food for the children. We are also trying to increase the farmable area at Namaje, but we need to be able to control the excess water throughout the farm. We have constructed a series of drainage canals throughout the farm to control water during the wet season and direct water to our crops during the drier months. 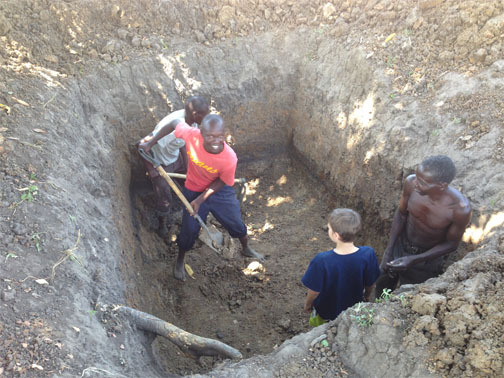 In an effort to create a supply of running water for our fishponds and some of our vegetables during the dry season, we constructed an eight-foot deep spring well. We purchased a manual pedal powered water pump that resembles a stairmaster. Not only does the pump help provide water, but it keeps you in shape too! 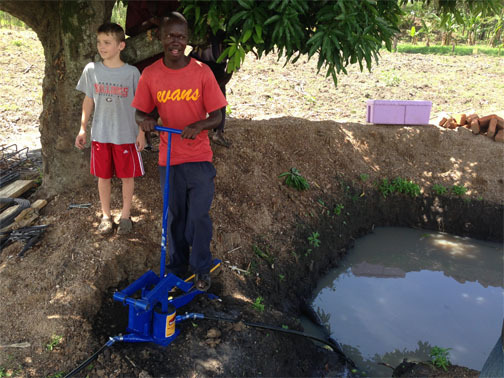 We are currently using the well and pump to provide water for the construction of a home for our farmer at Namaje. In an effort to provide more security at our farm, we saw the need to build a caretakers home at the property. The new home will help secure the crops from theft and provide our farmer a place to more adequately manage the farming operations. 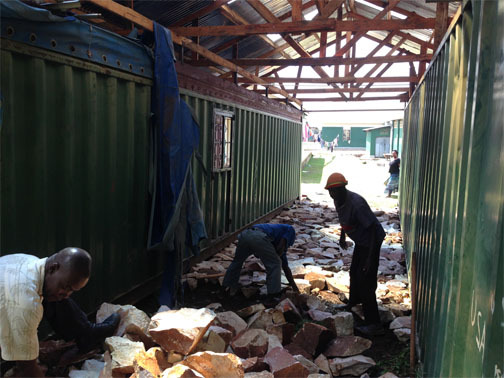 Our boys from Lulwanda have enjoyed going out and checking on the construction. 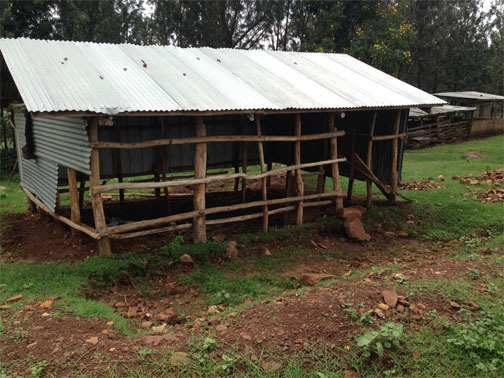 We haven’t placed much emphasis on farming at the Lulwanda Children’s Home in the past. 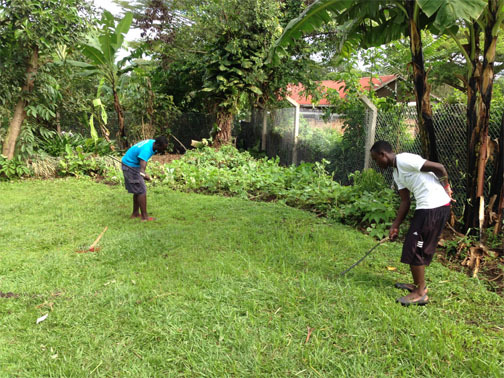 However, the farmland at the Children’s Home is better suited for allowing our children at Lulwanda to get experience with good farming techniques. 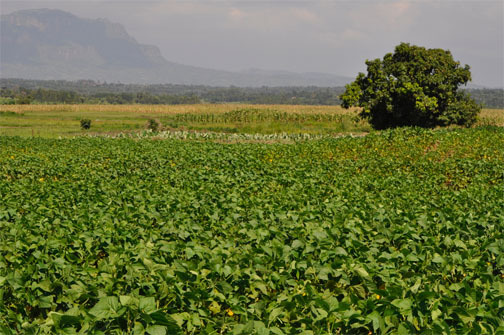 The amount of farmland at Lulwanda is also several acres in size and is a great supplement to the Namaje farm. 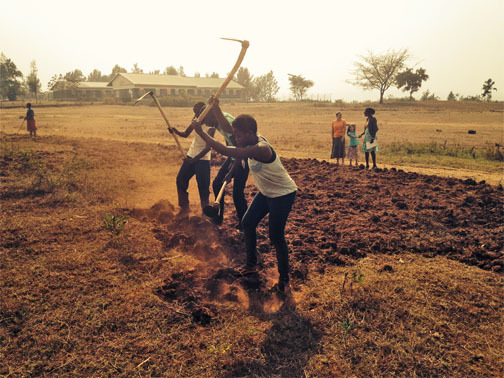 We decided to become more intentional in teaching our children how to farm and the Lulwanda Farmland provides the best opportunity. 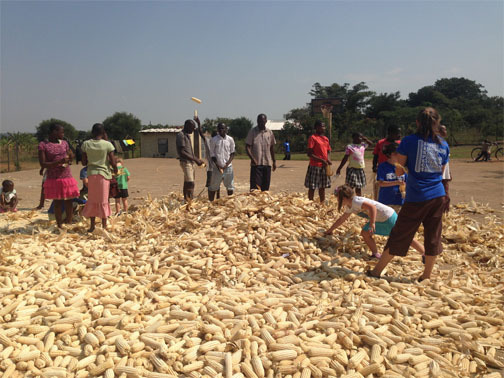 This year we planted and harvest maize, beans, and greens at the Lulwanda Children’s Home for the first time ever. We have also planted potatoes and tomatoes. 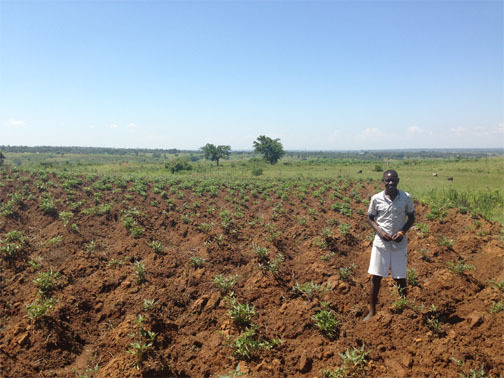 We anticipate ramping up our farming operation at Lulwanda in the coming year. In previous years, our animal farming operation has been an afterthought, but we are in the beginning stages of increasing the profitability of this department. 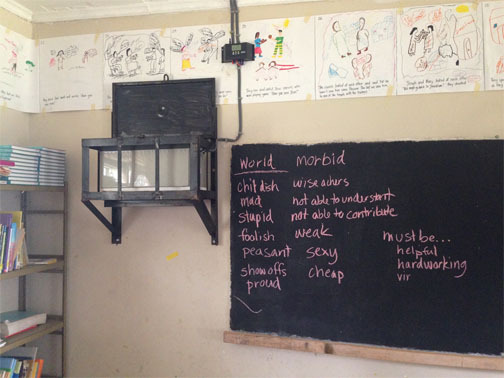 We are also using the upgrades as a teaching opportunity to our children in the Home. We are in the process of converting our goat facility into an IMO “indigenous microorganism “ piggery. 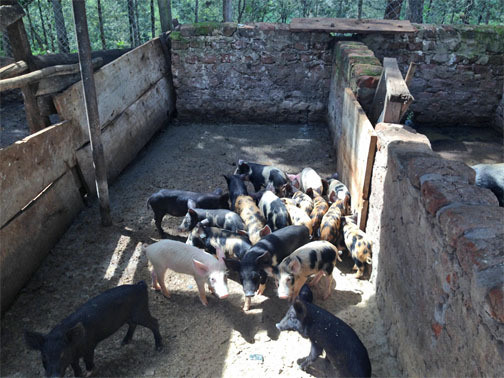 The new facility will be environmentally friendly and house up to 3 boars, 4 sows and 20 piglets. We are transitioning away from the local breed of pigs to a South African “Cambra” pig that grows twice as large and will increase profitability. We have a renewed focus on our dairy farm and we harvested over 1,300 liters of milk this year. We are also in the process of upgrading our dairy stock, by introducing artificial insemination by Friesian bulls from America. We have organized our animal record keeping and the mechanisms that we use to feed and care for our animals. 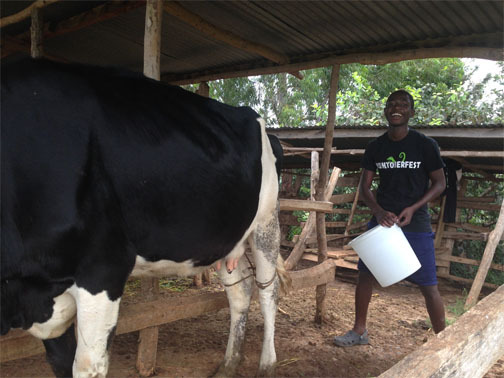 Some of our boys from the Children’s Home are excited about learning the dairy industry and are helping us milk the cows. 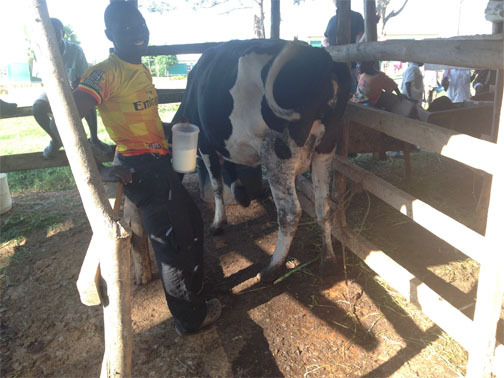 One of the ways to reduce cost and increase the amount of feeding our dairy cows receive is to plant a highly nutritious fodder food such as Napier grass. We have planted a portion of the land at Lulwanda near the animal farm with Napier grass along with a small area of fodder for our pigs. We are also now storing and drying our manure to help with providing proper fertilization of this fodder. We have cleared underbrush and are planting an additional two acres of Napier grass near the animal farm. 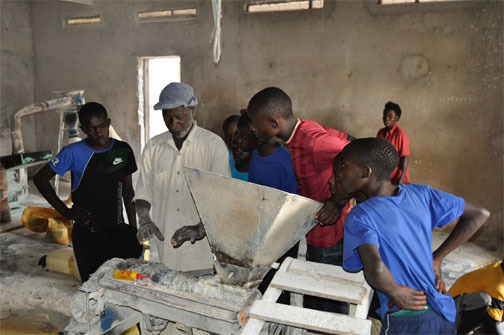 We have realized the benefit of having our very own maize mill to help us process the maize we harvest, and also allow us to purchase and process maize at a reduced cost from the local villages. By milling the maize at Lulwanda to produce Posho, our main food source, we can reduce the amount which we must purchase from the market. 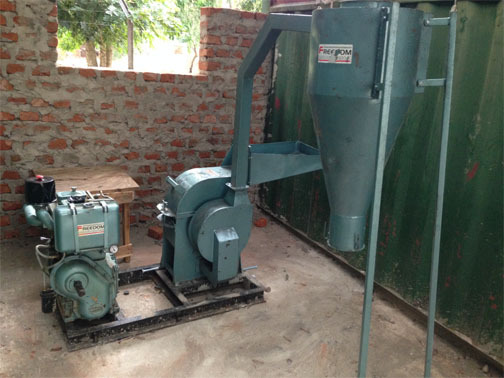 Eventually, we will be able to operate the maize mill as a commercial entity that will move Lulwanda in a more self-sufficient direction. Again, our children are very interested in the project and they will benefit from on the job training. We can also use the byproduct from the milling process, called maize bran, to help supplement the feeding of our animals. In an effort to reduce the cost of feeding the children we also explored ways to purchase crops when they are cheaper and plentiful. 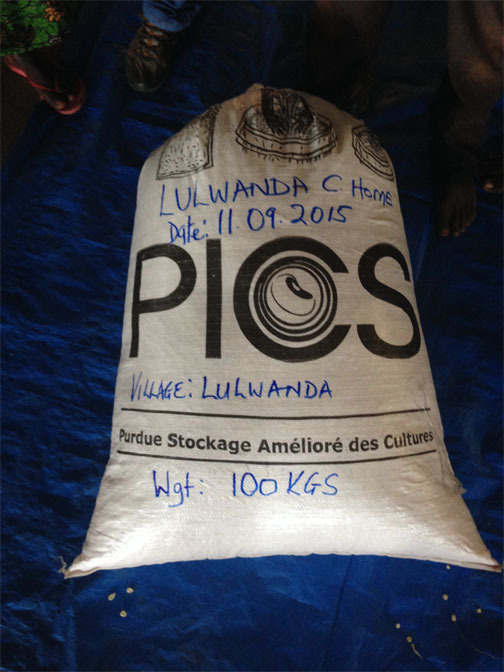 We will then store the maize, beans, and rice in specially designed bags until we actually need them. The price of food fluctuates over 100% during the year. 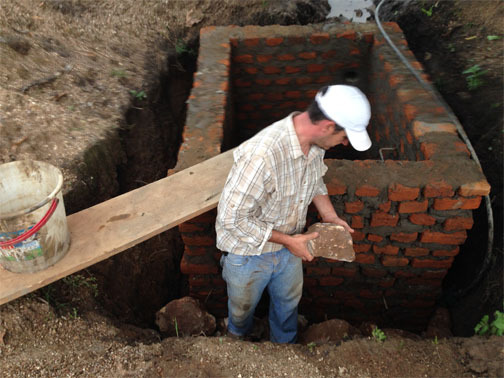 To fully embrace this idea, we needed to construct a storage facility for the food crops. We relocated two old shipping containers, built a roof over them, secured them with cement to discourage mice, and put in doors and windows for access. 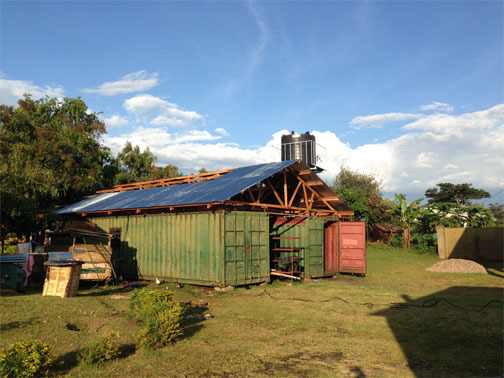 While the Children’s Home has a solar power system, the School has been reliant on the unreliable and expensive National Power Grid. 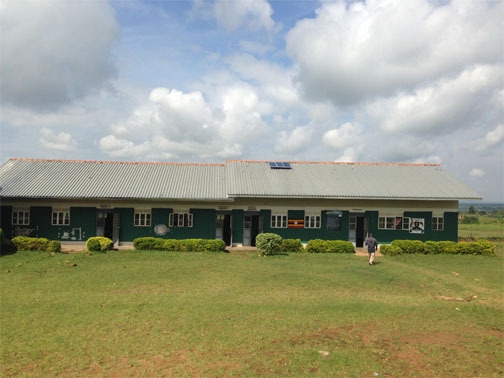 We have installed solar panels and low voltage solar lighting throughout the School. The solar lights have helped facilitate a better teaching environment and guarantees that the security lights will work regardless of the national power grid. 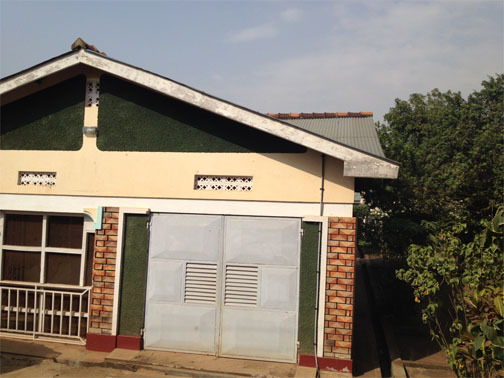 Solar panel installed on the roof of Lulwanda Primary School building. The floor in the Nursery School was in dire need of repairs due to the excessive potholes and cracking of the cement within the classrooms. 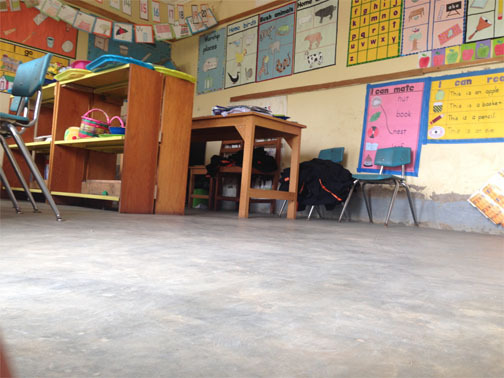 We successfully took out the old cement floors and have replaced them with new stronger floors that can be easily kept clean and will provide a more sanitary learning environment for the new children we are rescuing at the Home. There are great things happening at Lulwanda Children’s Home and we are excited about what God has in store for the future!